Receive an email if this item comes in stock. Unsubscribe from the 'In Stock' alert for this product. Coming in August 2019 (details) Pre-Order now for estimated shipment in August 2019 (estimated date / subject to change). Fans of the series Dragon Ball Heroes will love this statue. 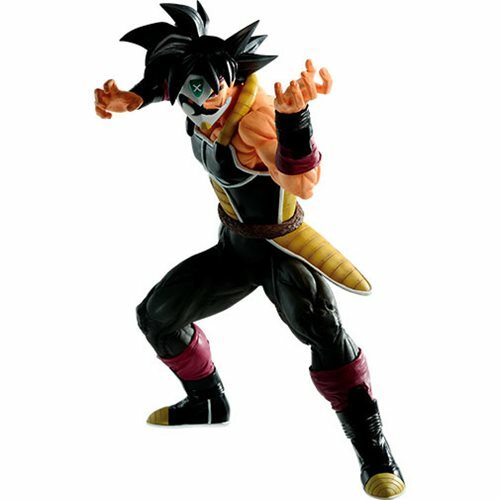 The Dragon Ball Heroes The Masked Saiyan Ichiban Statue will look great displayed in your home or office. Measures about 7 4/5-inches tall. Star Trek Starships U.S.S. Intrepid Die-Cast Vehicle & Mag. The Wish List Name is required.